After a long life lived to the full, John Wilson—to whom the world of hymnody owes more that it will probably ever know died suddenly on 16 July. His mental vigour undiminished to the end, he collapsed from a heart attack while shopping and died in Guildford Hospital without regaining consciousness. Sad though we are at his passing we can be thankful that its swiftness spared him any period of irksome inactivity. The sincere sympathy of all in this society will go to his sons Christopher and Anthony and their families and to daughter Sarah, who in recent years acted as John’s chauffeuse to conferences and committee meetings. John Whitridge Wilson was born on 21 January 1905 in Bournville, near Birmingham. His father, George Bailey Wilson, was a solicitor, who, while engaged by the chocolate manufacturers Cadbury’s, had met Margaret Whitridge Davies working in the firm’s staff refectory. They married, and John was their first-born. From his father he probably derived his passion for accuracy and meticulous attention to detail. His interest in music no doubt came largely from the other side of the family, for his mother was a sister of Harold Davies, who was to become professor of music at the University of Adelaide, and of Walford Davies, who was to become Master of the King’s Music. John’s upbringing was firmly Congregationalist: the Davies family had long been connected with Oswestry Congregational Church where the Revd John Whitridge (John’s great-great-grandfather) had been minister; an uncle, Thomas Davies, was also a minister of that denomination; and John was later to have as father-in-law the Revd O. G. Whitfield, who became Chairman of the Congregational Union in 1943. John spent two years at Manchester Grammar School before going to Dulwich College, south-east London, and then to Sidney Sussex College, Cambridge, where he took an honours degree in mathematics and physics. However, after a year teaching science at Repton School he decided to make music his profession. He accordingly took a ‘crash course’ at the Royal College of Music where he studied with H.C. Colles. Gordon Jacob, C. H. Kitson, Henry Ley and Vaughan Williams. During this time he lodged with uncle Walford, by then knighted and organist of St George’s Chapel, Windsor, and so there was perhaps some avuncular tuition too. John also obtained the Cambridge Mus.B. and the FRCO. He was briefly an assistant music master at Tonbridge School and then, in 1932, began his long association with Charterhouse. Here he was assistant to Thomas Fielden, whom he succeeded as Director of Music in 1947. During the war, when many of his colleagues were serving in the armed forces, John again taught science. In 1965, at age 60, he was required to relinquish his appointment at the school, but to John any thought of retirement was anathema. With his wife Mary (who sadly died in 1974) he moved to Guildford and he joined the staff of the RCM, where for the next fifteen years he taught keyboard harmony and acoustics. Aside from his official duties, however, he was valued as an unofficial counsellor, noted for his sympathetic ear and his practical advice to students on a wide range of concerns. Scarcely had he moved to Guildford than the Methodist Church there claimed him as organist. He had become an Anglican in his early Charterhouse days, but finding, as he put it, that ‘one could join the Methodist Church without unjoining anything else’ he now added Methodist membership—and each week he read The Church Times and The Methodist Recorder with equal avidity. After his next ‘retirement’—from the RCM in 1980—he returned to Charterhouse on a part-time basis to give individual tuition to those studying A-level music. Far from a sixty-year age difference being a disadvantage in dealing with those youngsters, they were much impressed by his kindly wisdom and tolerance and stood in wide-eyed awe of one whose uncle had met Brahms! John himself greatly valued his twice-weekly trips to the school—they gave him, he said, ‘a window on the world’—and this musical Mr Chips was no doubt intending to resume his visits there in the 1992 autumn term. He soon became one of the chief guiding spirits in the so-called ‘hymn explosion’. He soon became one of the chief guiding spirits in the so-called ‘hymn explosion’. The Methodists were quick to secure his services on the committee for their supplement, Hymns and Songs, 1969, a book for which he produced a very useful Short Companion. While working on that committee he began his long friendship with Fred Pratt Green. With Erik Routley he co-edited Hymns for Celebration for the RSCM in 1974; he was musical adviser to the committee that produced Broadcast Praise, 1981; and for Hymns and Psalms, 1983, he had a very large hand in the music and in seeing the book through the press. He served the RSCM as a member of their Publications Committee and in various other ways; for them he prepared two collections of hymns arranged as simple anthems, Sixteen Hymns of Today, 1978, and Twenty-one Hymns Old and New, 1985. In addition his advice was sought by, and freely given to, editors of many hymnals both in Britain and abroad. Sometimes he persuaded authors—notably Fred Pratt Green—to provide words for tunes he felt worth getting back into circulation. (A piece for which John had a particular affection was ‘An upper room did our Lord prepare’, which arose from his asking Fred to write words in the proper metre for the folk-song often known—improperly, John would insist—as ‘O waly, waly’.) His meticulous editorial work is also shown in his book Roger North on Music (Transcribed from his Essays of c.1695–1728 and edited by John Wilson), 1959. John was always interested in what church music actually sounded like in earlier times, and not just in what appeared on the printed page. So he studied church barrel-organs of the early 19th century and the detailed accounts by John Spencer Curwen of visits to various Victorian church services. Westminster Abbey s annual ‘Come and Sing’ series owed an incalculable amount to John’s enthusiasm and expertise. For many years he suggested (‘decided’ would not be too strong a word) the topics to be considered, the speakers to be invited, the choirs to be assembled (and if necessary conducted by himself); he negotiated with copyright holders, made countless musical arrangements, and undertook the exacting labour of producing the hymn sheets. The latter always included the music, even of well-known tunes, for he always maintained that no one could be expected to sing properly without it. Even after decreasing mobility forced him to relinquish much of the detailed work his interest in the series was unabated and he was a highly valued consultant. John increasingly influenced the world of hymnody in the USA too. After Erik Routley moved to Princeton in 1975 he and John exchanged letters almost weekly and this brought John into close touch with events in the States. Erik’s untimely death in 1982 was a great bereavement to John. He was enrolled as a tunes consultant to the Episcopal Hymnal 1982. His work is richly acknowledged in The Hymnal 1982 Companion, Vol.I (1990) and his detailed notes on some of the tunes will appear in Vol.II. During his visit to the International Hymn Conference at Bethlehem, Pennsylvania, in 1985 he was, to great acclaim, made a Fellow of the Hymn Society of America. The volume 100 Hymns of Hope, celebrating the centenary of the Hope Publishing Company of Carol Stream, Illinois, is dedicated to John, and in the foreword he is described as ‘the catalyst for much if not most of what has happened in hymn-singing in English-language churches during the past 30 years’. And of course John unstintingly served this society, which he had joined in its very early days. But to say that he was Treasurer from 1965 to 1990 and kept our finances on a splendidly healthy footing does not tell half the story. His wise counsels in our committee meetings were by no means confined to financial matters. He was guide, philosopher and friend to everyone; in all but name he was membership secretary and delighted in receiving hundreds of subscription renewals every January, especially when the envelopes also contained cordial letters from members. He gave a huge amount of advice and encouragement to the present editor of the Bulletin (as no doubt to his predecessor); not the least of such assistance was to read an extra set of galley proofs and then to compare findings with the editor by telephone. Even if we did not always achieve 100% accuracy, John’s ministrations certainly brought the Bulletin closer to that ideal. Until recently he also personally dispatched the Bulletins. 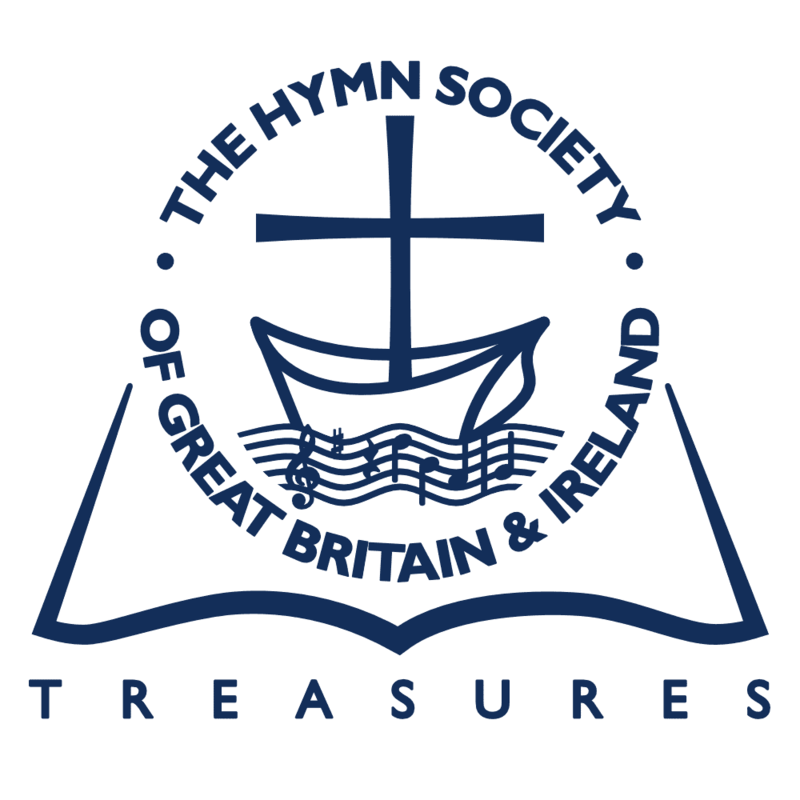 He was the moving spirit (in fact virtually the sub-editor) for the society’s publications British Hymn Writers and Composers: a Checklist and Hymns and Tunes Indexed. And he did an immense amount of work in preparing the booklets for our Acts of Praise, right up to the 1992 edition. His gifts as a communicator were much in evidence both in contributions to the Bulletin and in meticulously prepared addresses to our conferences. His gifts as a communicator were much in evidence both in contributions to the Bulletin and in meticulously prepared addresses to our conferences. One of these in particular, his analysis of what makes a good hymn-tune, given to our 1979 conference, and developed into an Occasional Paper published last year, has stimulated a good deal of interest beyond our own membership. John would not release anything until he was quite sure that no further improvement was possible. Even when he had been persuaded to send a piece to the Bulletin the editor could count on receiving various detailed amendments almost daily thereafter. John was lovable—and also formidable. Many will have had experience of putting a suggestion before him only to have it rejected, its weaknesses mercilessly exposed. But later John would return to the subject and suggest improvements to the original idea that would enable the project to go forward with hope of success. He was delightful company, full of wit and shrewd observation. And he was utterly honest, not least about the Christian faith that his work on hymns did so much to strengthen for so many. He could not stand easy platitudes and least of all expressions of faith that disregard the manifest evils that surround us. In his later years he was sad that so much that he had worked for in hymnody was, as he saw it, being thrust aside by trivial songs. He would remark that it is easy enough to get people to enjoy themselves in church, but another matter to get them to worship. It was not the musical style that he objected to: he would delight in making us aware of the gems among the dross, and he had us sing them in Acts of Praise. He would lament that the ‘hymn explosion’ has left so little real mark on what is sung Sunday by Sunday in our churches, while admitting that there are some hymns from that period now accepted as standard. He would ask whether we need any more new hymns—and then be delighted to find one that said something not said before, or that revealed anew an old truth. There is justice in many of his complaints: we would do well to heed them. When John relinquished his quarter-century treasurership of the society (a far longer span than that of any of his predecessors) we wondered how we might appropriately mark this sterling service. For various reasons none of the conventional ‘golden handshakes’ seemed suitable. But we finally hit on the idea of inviting members to write personal tributes which were then bound into an elegant volume; this was presented to John just before Christmas 1991. Any qualms that may have been felt about how John would receive this proved unjustified; he was utterly thrilled and clearly no better way of marking his many contributions to the society could have been devised. He read and re-read the volume, and visitors to his house were implored to inspect ‘My Book’. He would, we thought, respond to this gift by a letter in the Bulletin, but no. He said: ‘People have taken the trouble to write to me; so I must write to them.’ Nor was it a standardized acknowledgement that he sent in reply: every one of the sixty or so contributors had a personal handwritten letter of thanks. John expressly desired that no mention of the matter be made in the Bulletin—but perhaps we may be forgiven for breaking that embargo now. His early scientific training showed itself in a life-long interest in astronomy and a boyish delight in gadgetry. In the 1920’s he had intrigued his uncle Walford with a radio receiver of his own construction, thereby perhaps indicating to Walford the potentialities of radio as a medium of musical education. As a composer John was not prolific. He contributed six tunes to The Clarendon Hymn Book: three of these (BEMERTON, HADLOW and RAVENDALE) reappeared in Hymns for Church and School alongside LALEHAM and RERUM CREATOR. In 1969 Hymns and Songs brought us REDEMPTOR, WOODBRIDGE ROAD and by far his best-known tune, LAUDS. With More Hymns for Today (1980) came WHITFIELD and with Broadcast Praise (1981) EAST MEADS. To five earlier tunes Hymns and Psalms added BINSCOMBE and the haunting GRIFFIN’S BROOK (which was sung at his funeral service). Two more, EASTER CAROL and TRINITAS in the RSCM’s Sixteen Hymns of Today (both short anthems rather than congregational hymns), bring the total to 17. That number is more than quadrupled if we include his arrangements and descants, many of which were originally written for ‘Come and Sing’ programmes. But his greatest contributions, not to be expressed in numbers, are his raising of the standards of hymnal editing and his constant stimulation and encouragement to hymn writers and composers the world over. Always with charm and graciousness John continually enlarged our vision and perception. To know him was to hold him in the greatest affection. Many are those who will continue to thank God for that marvellous privilege.